Guitar WorkshopThis book + CD / DVD set has already won several awards, including the 2008 Acoustic Guitar Magazine Players Choice Award, the Telly Award twice (USA: best film & video productions, groundbreaking online video content, and outstanding local, regional and cable television commercials and programs) and the "AEGIS Award for Excellence in Education". 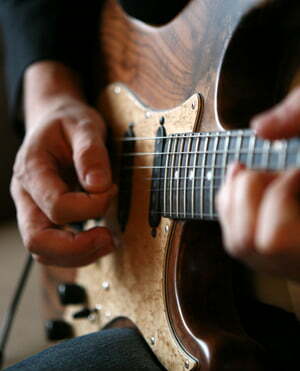 Among other things, "Learn & Master Guitar" is recognized as the best method for self-education. The course consists of 10 professionally produced DVDs, 5 play-along CDs, an accompanying textbook with over 100 pages and free access to Internet support -Page. All in all, this course is the only complete way to learn guitar - that's all you need! All that's missing is practice and learning. Author Steve Krenz is an experienced studio guitarist and guitar teacher. 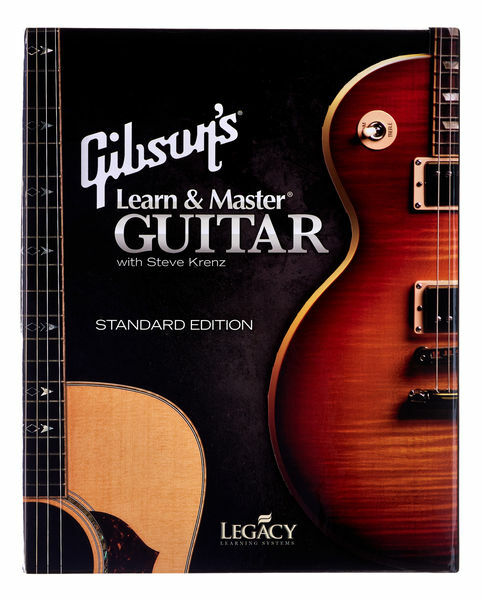 He himself and his method of teaching were also honored by the "Acoustic Guitar Magazine" with the "Choice Award for Best Instructional Material". His over 20 years of experience as a professional guitarist include jobs for Grammy winners Donna Summer, Bryan White, Michael Smith, Israel Houghton and Fifth Dimension. Good method to learn from the beginning for the beginner, or to pick from a advanced lesson for a more experienced player. Plenty of informations, including videos, online videos, live videos every thursday. The internet site keeps all the previous live lessons for you not to miss a bit of tricks and help in your study. Worth the price, I give it 4 stars ! ID: 302037 © 1996–2019 Thomann GmbH Thomann loves you, because you rock!